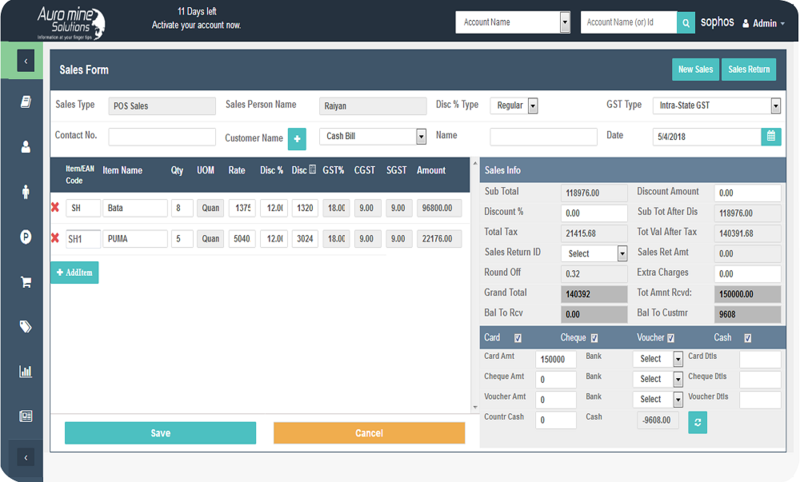 Auromine GST Billing Software is specifically made for startups, growing and small businesses like Restaurants, QSR, Pizza Shop, Ice Cream Parlors, Food Courts, Bakery, and also Any Small Retail business without Inventory. This software can serve different purposes among which includes software invoice and accounting purposes. The inventory creation feature is a very useful feature that gives you the opportunity to perform various operations which includes the option to easily categorize every single one of your products. You can be rest assured that the speed of your sales and billing transaction will be second to none. You can always follow your sales transactions, sales return, track orders and more. Accounting:The accuracy of our accounting section is top notch. 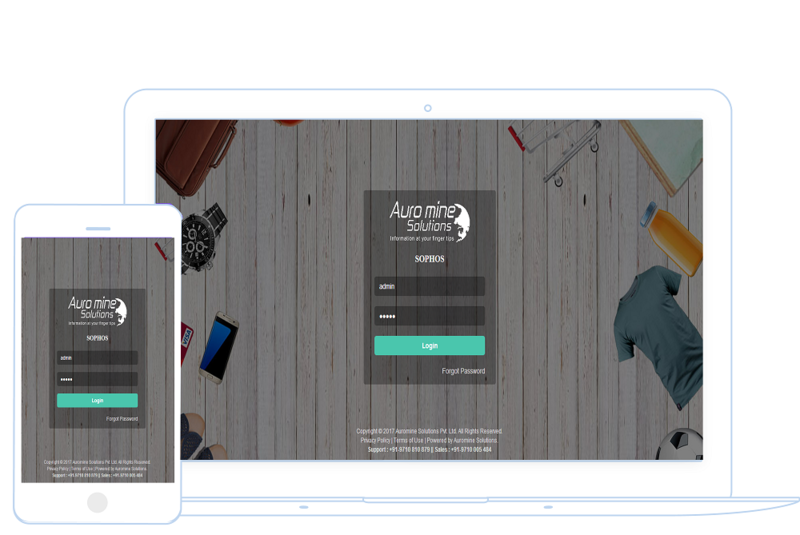 It keeps account of every transaction and provides you with your Ledger Account, Income and Expenditure account, profit and loss account, Assets, Liabilities, Cash flow and balance sheet. Our smart tax management provide you with tax information such as Inclusive and exclusive taxes, single and multiple taxes and the tax fee for specific items. Our software carries out schedule analysis of your reports and provides you with an accurate result that can help you help your business. 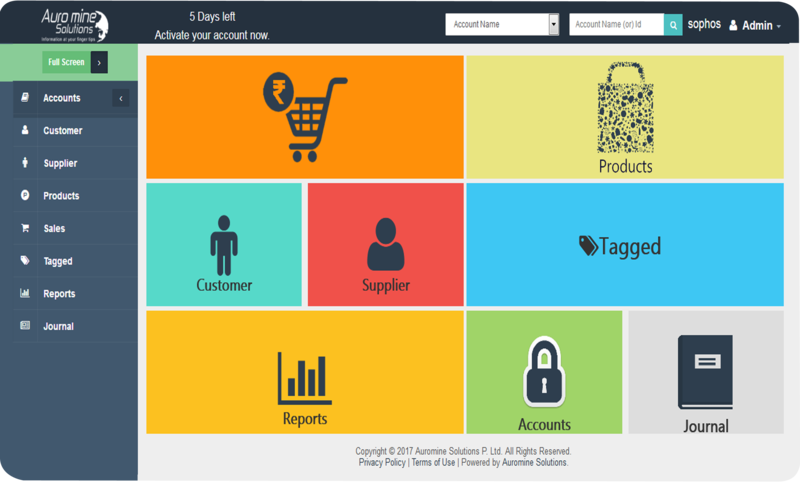 It gives you various reports such as; Accounting reports, Storefront and Back-office Reports. With your external security airtight, you can be rest assured that your internal security is even better as various accesses are restricted to various customers and personnel and can be modified to suit your need.